In its fifth year of iteration, Independent Inquiry continues to be a project that defies traditional logic and rewards all involved with inspiration and enjoyment of learning. This afternoon, three students had arranged to stay after school with a simple inquiry goal: To build a tower out of books in our classroom library. This was a follow up to a previous project of using books to make a giant domino chain. Today was special because they utterly failed. Eventually, they did manage to build something, but not without overcoming a dozen obstacles along the way. They were frustrated by the different sizes and stiffness of the books as building materials. Working on different sides of the tower, after it collapsed, they lamented that they hadn’t been communicating or comparing each others’ techniques to ensure stability. The constant flow of analysis and synthesis that followed astounded me and distracted me from the after school program recommendations I was trying to complete before leaving for the evening. 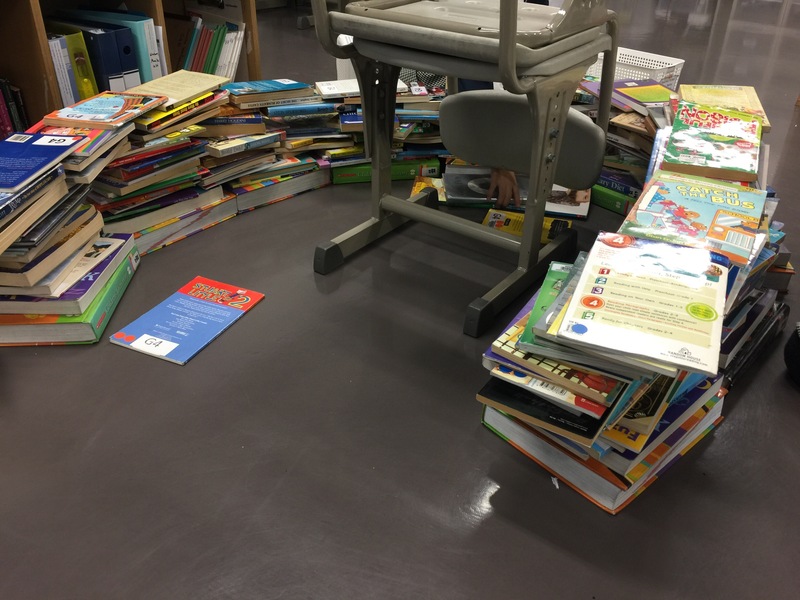 When all of the classroom books were used, and the tower was significantly smaller than they had expected, an ethical debate ensued in which they determined that other students wouldn’t mind borrowing their books as long as they were properly returned. I chuckled silently throughout the project and marveled at the vast breadth and depth of learning they achieved with only an idea, a pile of books, and each other. The challenge of teaching young writers without limiting or stifling their Voice and creative enthusiasm is a monumental task. Designing engaging writing activities which integrate multiple modes of learning is another. Fortunately, the two tasks are complementary and any effort spent solving one problem helps with the other. As my fourth graders spent the first six weeks of the school year exploring the 6+1 Traits of Writing, one engagement worked particularly well for the students learning about Organization. 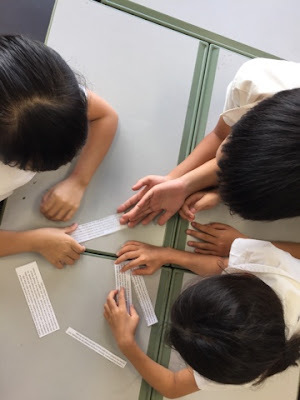 In collaboration with my grade 4 teaching partner, we selected a few texts organized in well structured paragraphs. Then, each text was separated so that the paragraphs could be rearranged. Students worked in small groups to organize the texts in the way the made sense to them. Then, groups were reorganized so that each could discuss their reasons for organizing the texts in the ways that they had. The result was an authentic yet structured opportunity to practice text organization without criticizing student writing, which I am extremely reluctant to do with such young writers. Social and kinesthetic learning modalities made the experience engaging and fun. It was also an efficient use of time as the design of the activity itself was quite self explanatory.